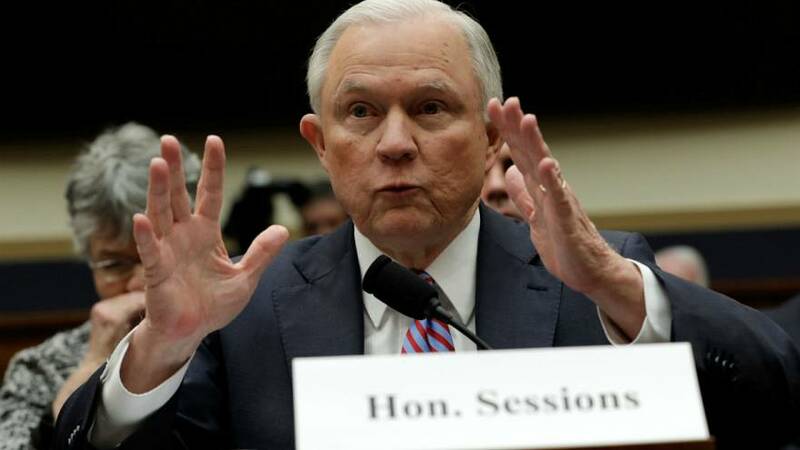 US Attorney General Jeff Sessions has admitted he now recalls a meeting with the then-presidential candidate Donald Trump and aides where campaign connections to Russia were discussed. Although the admission before a congressional committee contradicts earlier statements, he denies lying. “I will not accept and reject accusations that I have ever lied. I had no recollection of this meeting until I saw these news reports. I do, now recall, that the March 2016 meeting at the Trump Hotel that Mr. Papadopoulos attended, but I have no clear recollection of the details of what he said at that meeting,” said Sessions before the House Judiciary Committee. Former advisor George Papadopoulos who has pleaded guilty to lying to the FBI about his Moscow contacts claims he told campaign aides that he could set up a meeting between Trump and Russian President Vladimir Putin. Sessions now says he now thinks he told Papadopoulos that he wasn’t authorized to represent the campaign to Russian officials. Accusations of collusion with Russia have dogged President Donald Trump’s 10 months in office setting off an investigation by Special Counsel Robert Mueller and several congressional probes.